Windows Explorer is a pretty good file manager, but why settle for "pretty good" when you can have OUTSTANDING? With PowerDesk 9 Professional, you'll have access to six file utilities that totally replace Explorer with file management tools that will make your life easier and better! Believe me, you WILL NOT miss Windows Explorer! Let's start with the most important thing -- finding your files! Have you ever relied on Windows Search and come up empty, when you KNOW for CERTAIN that what you need is on your drive? Well, with PowerDesk 9 Professional's powerful search engine functionality, you can quickly locate files by keyword, file type, size, or date range and see the "hits" displayed in a single-line reference! How often have you had to launch an FTP program and interrupt your workflow? Thanks to PowerDesk 9 Professional, your FTP sites can be viewed just like ordinary folders! Ever had to launch a separate utility just to compare two folders? Not anymore! PowerDesk 9 Professional can compare and synchronize the contents of any two folders, especially useful when working on files that are shared between two machines! The list of benefits over Windows Explorer goes on and on! 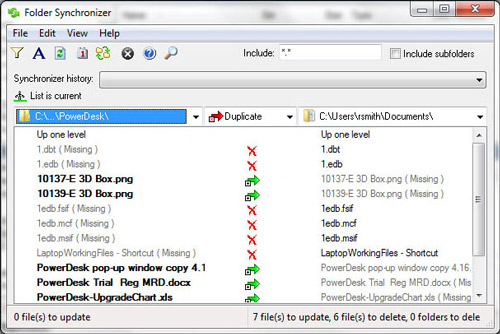 PowerDesk 9 Professional boasts a "Size Manager" that shows you which files are consuming the most of your valuable hard drive space. Even better, you can use PowerDesk 9 Professional to compress and expand your files using over 30 compression formats to save even more disk space! Lastly, PowerDesk 9 Professional will enhance all of your Open File and Save File dialog boxes to give you fast access to recently opened files! Replace Windows Explorer with a superior file management system. Gain quicker access to recently opened files. Manage valuable disk space even better than before. Compare and synchronize the contents of any two folders. View and work with FTP sites like ordinary folders. Quickly locate any file using search engine functionality. After you purchase PowerDesk Pro 9 it may be used indefinitely. PowerDesk Pro 9 is licensed per computer, and not per user. xCurt PowerDesk 9 at minus 30% is not an offer, but normal price. I am disappointed to see Bits du Jour taking part in such bewildering! TopDog There are way too many disadvantages to this program to even consider it. It is buggy, cost, poor customer support. Lack of loyalty upgrading of minor updates and upgrading discounts. I am disappointed that bitsdujour even offers it. Read the older comments. Filthy Jim McNasty I agree with all the sad stories above: Buggy (On Windows 7 x64); Can't find any way to get an upgrade price; Laughably underpowered compared to Directory Opus, XYPlorer and Altap Salamander; Essential maintenance releases extremely rare ... And what kind of a saving/deal is the BDJ price? Not good enough. This should be a BDJ one-day freebie if AvanQuest wants to lure all their unhappy customers back to their fold. I used to particularly like their File Finder, but it kept crashing on me to the point where I gave up and uninstalled the whole damn mess. This morning I wrote to infouk avanquest.com asking for upgrade prices. Note the UK part of that address. A few minutes later I got a blank return mail in French. The subject line read: "Subject: Réponse automatique d'absence du bureau : PowerDesk Platinum Upgrades?". OK, they're not in the office. But I bet their sales team are in. A shoddy way to run any business. Once upon a time isn't good enough. Why am I here? To read your comments in hope of some positive reason to throw more of my money at them for a fixed product. But that was before their reply to my EMail. I'll keep the wallet closed, forever in their case. I hope potential BDJ buyers read all our mails. Was that just one positive comment I noticed? Out of over 100. BDJ are good, but unwise this time. Sorry BDJ, and (Insert choice of expletive) AvanQuest. Try the above link for the upgrade price to PD9. I installed it on a new Windows 8 computer. It is still the slowest opening file manager I have used. I do like the File Find and File Sync features. They seemed to have improved them from previous versions. 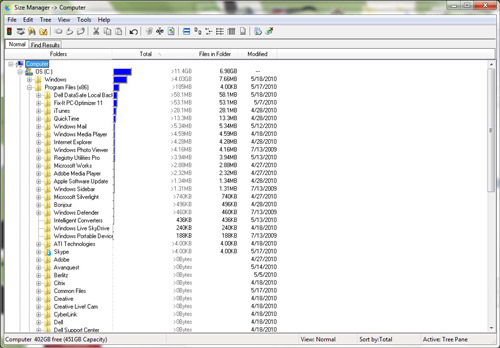 For regular file managment I use Opus 10 Pro or XYplorer. With Opus, the license allows two installs on different computers. Xyplorer allows installs on all of the computers in your home and you aslo can buy a lifetime license. With PD9 you are allowed one install. Filthy Jim McNasty Oh, Joe. Thanks for that link. However did you even find it? I am almost tempted to give them another chance. Ratchet! For $14:00 (£9:28 in old money) I might get fish, chips and a pint. I hate you (not). I'll go without supper and give them one last chance. But seriously: How did you find that link? I've trawled all over the UK site without joy. They must prefer $US to £UK. Well, they're French. Revenge for Waterloo? Joe McCormick To Filthy Jim. I believe it was a link given to me a few months ago for upgrading from earlier PowerDesk versions. I was fed up with PD8 but I thought I would try the new PD9. I have found in the past, PowerDesk usually works best when it is installed on a new Windows install. If I try to do an Upgrade of PowerDesk from and older version to the newer version on the same computer, PowerDesk usually is a piece of crap software. So far on my Windows 8 system it does not crash like versionx 7 and 8 did. But as I mentioned before it is still a very slow file manager compared to all the others I have tried. I hope if you upgrade it will work for you. George Cohen Agree with all above comments. I was an early and pleased adopter but was greatly disappointed in later versions. Hate to admit it but the software problems actually made me angry. Combined with any degree of service I swore off all products from the developer. It really is a case of buyer beware if you are foolish enough to purchase this product. I would also second the positive comment for Directory Opus. I have had good fortune with this product and have consistently upgraded due to the product's quality and service from the developer. Ric NOT TRUSTWORTHY!!! PowerDeskPro is problematic at best and has terrible, apathetic support. Almost 2 years ago I purchased version 8.5, as I had been using v6 and 7 beforehand, which I really liked. After a while of using v8.5, I discovered that when COPYING files it would MOVE them instead. I didn't notice this with small files; I only noticed it when copying large files because the copy window appears, whereas with small files it doesn't even flash on the screen. However, instead of saying "copying" it said "moving" in the window title. I freaked out. To this day I still have no idea how many files I moved from my desktop PC to a backup drive which are no longer on my PC. I spent days figuring out which files I no longer had on my desktop PC. When I first contacted Avantquest they told me they'd look into it. When I kept pressing tech support about the issue, I finally got an email stating they were aware of this problem as other users reported it too. I thought this was such a significant bug and suggested they inform their unsuspecting users. But they never did. They never issued any fixes or updates either. They also refused to refund me because I was past the refund period. About 9 months later they issued v9 but they wouldn't give it for free considering how deflective v8.5 was. The copying/moving issue seems to be resolved but I just CAN'T trust it anymore. I went from using PowerDeskPro exclusively to avoiding it. Thank goodness I discovered Directory Opus and XYplorer on Bits du Jour from comments by other users. Olivier Gebuhrer Awfull! When ontrack launched the program it was superb ; since it went to V-com it was immmediately full of bugs , no answer from the support if any !!!! Chuck Brotman FWIW: I agree with most of the above comments! pestoking I have been using PowerDesk for many, many years. Yes, it can be a bit flakey at times, but it still is a very capable file manager utility. Plenty of programs freeze and crash from time to time, par for the course. PowerDesk has its occasional moments. I haven't shopped for alternatives, but will check out Opus. Regarding the link to purchase a license for $14, yes that's legit. Once you register the software (you can't use it unless you register and PowerDesk phones home to check to lock the key to your PC), you will receive occasional email offers with the $14 pricing. You'll want to keep those emails because after you install your license key, the program is locked to your computer via a code tied to your computer's components. You cannot uninstall it and/or de-license the key from the computer and move it to another computer, unless you call Avanquest and beg for a new key, which they MAY do one time (been there, done that). This is the only program I own that deploys this EXTREME licensing scheme, and it's just a file manager. Yah, I know, what up with that? It's like buying disposable razor blades. Disposable license keys. So I build and upgrade a lot of computers, and have gotten into the routine of buying a handful of license keys at $14 a pop to take care of new computers and updates. If I had to pay $39.95 (or even $27.96) every time I changed out a CPU or motherboard, I'd probably bail on this product. But at $14, I can swallow that. Disposable razor blades. Avanquest, if you are listening, this is a long-time user that's telling you OK with locking the key to a PC, but time for you to build in the ability to DE-LICENSE the key so the software can be used elsewhere. You are not losing anything, that's one key on one PC at a time. Your aggressive phone home routine will work fine to verify the key is only being used on one computer. disenchanted The last version I have of Powerdesk is like V7. However, the email address I registered that version with, has been receiving the "$14.00 upgrade offer" for years. PowerDesk did okay as a file manager years ago. But when you upgraded a hard drive (by cloning an exact copy. Not a new windows installation) it had issues about wanting to get activated again. (Probably because its activation process used the serial number of the hard drive. When the hard drive changed, the serial number no longer matched, prompting a software re-activation). So it erred out, saying it failed activation. If I remember correctly it took awhile to get help from the vendor to fix that activation issue. In reading Wikipedia it seems that Avanquest was gobbling up other software vendors, to increase their own company's size and the number of their software offerings. But they seem to have forgotten the consumers of their products, somewhere along the way. It's bad enough that consumer have to be involuntary Beta testers, but Avanquest should FIX the problems with their software products as consumers point them out. With so many other File Manager programs, available at great prices here on BDJ, it's not worth the effort to even mess with products that don't keep up with their own bugs. pestoking A hard drive upgrade should not trigger an re-activation or re-purchase. Typically people add or upgrade hard drives, memory or graphics cards. A motherboard replacement probably would be viewed as a new computer. I have called Avanquest in the past when there was a problem, and a new serial number was generated, no charge. Celso Flores I used version 4 for years and it worked great. I bought this version a while back and had to uninstall it as it was way too slow to do just about anything. I actually went back to version 4 then swapped to other software. I was however fully refunded. Joe McCormick I have been using PowerDesk Pro 9.0.1.10 since January of last year. In that time I have never seen the program updated. I have it set to check for an update every time I open it. I don't know if Avantquest has given up on this program. It seems odd that there has never been an update. I am running this on Windows 8.1 and it has been very reliable compared to PowerDesk Pro 7 and 8 and 8.5. It is still slow to open compared to explorer2, XYplorer or Directory Opus 10. I like it's file sync feature better than the other file managers. In version 8 and 8.5, it seemed to crash all the time, but in this newest version it seems to be pretty reliable. If Avanquest ever comes out with version 10, it would be nice if there license would allow for at least three computer installations. I like the license for explorer2, XYplorer because it can be installed on multiple computers in your home. Opus 10 will allow you to install it on two computers. Chuck Many years ago, PowerDesk was my file manager of choice. But it simply couldn't (or wouldn't) keep pace with the rest of the industry. Like many others, I took a look at Directory Opus. Nearly nine years later, I'm more than happy I made the switch! Ben Paturzo This software has not been updated in so many years that it is irrelevant. Also, the "have to activate again" feature drove me to distraction so that I asked the company Avanquest NEVER to send me another offer. Of course, they still do. Guys, steer clear of this -- your sanity will thank you! Edward Smith Why, just why would anyone put themselves through this? We all know this is garbage software by a garbage company. Period. At one time (a long time ago), this was one of the best out there. Hasn't been in the top 20 in years. Like someone else said, pass on this for the sake of your sanity! Even with no discount the free liftime upgrades option are a steal! but its worth the money (i own Five machine licence plus one personal laptop). The upgrades of DO you will pay all 3-4 years. and Speedcommander (this one was my all time favorite in the past - its like TotalCommander with nicer visuals). But paying every two years upgrade fees was to expensive for me (i did this since years). So lifetime licence is my favorite option. Patrick Stower I have used Powerdesk as far back as I can remember and I have always liked it. You must note, however, that it will not work on Windows 10. Avanquest even admit that it won't work. Given the recent lack of obvious support for the software, I wonder whether there will be a Windows 10 working version at all. Mike User This is a good product BUT it doesn't work at all on Wiindows 10, as Patrick Stower points out. Avanquest typically charges for new versions when its current version stops working under a new OS. If you buy this now, be forewarned: You probably are going to have to buy it all over again if a new version comes out. Gary Wayner I recently tried to use PowerDesk 9 with Windows 10. MS said it was incompatible. I contacted PD & they told me that they were sorry but that they had no intentions of making it compatible. They said that the software would not be updated to version 10 & that this was the end of the line for PD. Meh, no great loss. I hope that people don't buy this software to use with Win 10. Seems like BitsDuJour should know about this situation! Joe McCormick Gary. I would hope that someone would buy the licensing rights to the program and make it a great file manager that it once was. I Have been using Version 9 on my Windows 8.1 computer and it has been better preforming then the previous versions. I have had v9 since January 2013 and it will occasionally check for an update but there never has been one. 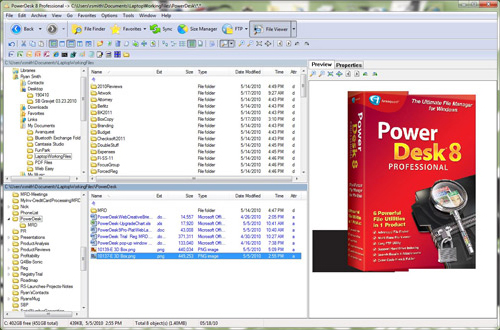 Joe McCormick I just received an email today from Avanquest for a limited time offer to purchase extra copies of Power Desk Pro 9 that will work on Windows 10. The cost is $8.99. The email is supposed to be sent to former and present users of the program. I am glade they did this because the last time I read, Power Desk was dead and would not ever work on Windows 10. I don't know how long the offer will last. I just ordered 2 more copies of Power Desk 9 and got 2 new license keys. This is not and upgrade but a full new version. Of course if you already have a valid license key for version 9, you can get the upgrade for free by contacting VCOM tech support. So far it seems to work a bit faster then the 9.0.1 version I had on Windows 8.1, but that might be because if my new i5 Skylake system. Did anyone else get this email offer? LM Stafford Yes, I got the offer and Im not biting. See my previous comment . Ive quit buying new versious in hopes that it will offer advantages over alternatives. Michael Crosson I got the $8.99 offer today as a former owner. Are they still using that outrageous and oppressive copy protection? They deactivated my legal copy remotely when I upgraded to new computers. Customer service was not helpful. That's just not acceptable. I really liked this program about 10-15 years ago, but I will not support software with crazy and unfair licensing policies. They are out of touch. Joe McCormick The $8.99 offer, if it is still available, will get you a new license key. It is not an upgrade. I also bought 3 more licenses for the $8.99 price each. I upgraded one for free by contacting VCOM tech support and used the old key that I had. Michael Crosson The e-mail offer I received mentions "upgrade" several times. "As an owner of a previous version of PowerDesk Pro you are entitled to a special price of $8.99 for this new version." Constantin Florea @Benjamin User, I've just contacted the vendor regarding the issue you mention. Benjamin User Thank you @Constantin Florea, you are great. I often buy product on BitsDuJour, because I trust you. Unfortunately, sometimes there are issues with the program I buy here, which you are not risponsible for. However, you always try to help us whenever we need it, and I do really appreciate it. PowerDesk website state that PowerDesk Pro 9 is fully compatibe with Windows 10. That's why I bought it. Once you search information about it on the internet you find out that their discontinued their support on Windows 10! Why didn't they update this information on their sales page ? They are misleading us.! That's insane. I would at least get refunded or get a compatible version. Benjamin User @Constantin Florea, thank you for your help. Thanks to you, the vendor sent me a version of their program that seems to work on Windows 10. They did not find my purchase information in their database that is why it tooks time before they contac me. Now if it's possible, I'd like to remove my negative review so that potential buyer don't get scared about what I wrote. PowerDesk last version is fully compatible with Windows 10. You can get it by contacting the vendors. The version you can download from BitsDuJour won't work on Windows 10. It's one of the best desktop software I ever use. Benjamin User PC HelpSoft Labs Inc@ I'm sorry for my late reply. I just wanted to say that my Windows 10 compatibility issue was solved. Thanks for your help! Joe McCormick I have four licenses of this program. I have been a longtime user of Power Desk. The latest version is working great on latest edition of Windows 10. I wish that someone would come in and buy the program so it can be further developed. It has been a few years since it was last updated by the company and is no longer really offering any support or upgrades for it. That is a shame. In my opinion this is the best file manager out there.